On Friday 22nd September, together with Mrs Churchill’s War, GrowthInvest at Raindance Film Festival presented ‘Financing Your Film with the Enterprise Investment Scheme (EIS)’. Receiving a surge of interest, we think it is fair to say it was a successful event with many budding filmmakers, amongst others, interested in this source of funding for films. 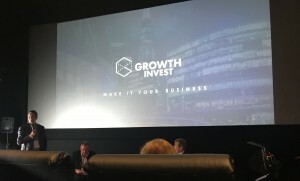 Andrew Arthur introduced the presentation, which GrowthInvest’s Operations director David Lovell, followed with an overview of EIS and GrowthInvest including its background along with its variety of tax reliefs. We then had Derek Terrington, Media Analyst from Hardman&co, speak on researching into the film market. The presentation was concluded by taking a closer look at the journey Mrs Churchill’s War has taken in order to get to the stage of raising (S)EIS, consisting of the supplemental financing strategies, a casting wishlist and a shooting schedule.